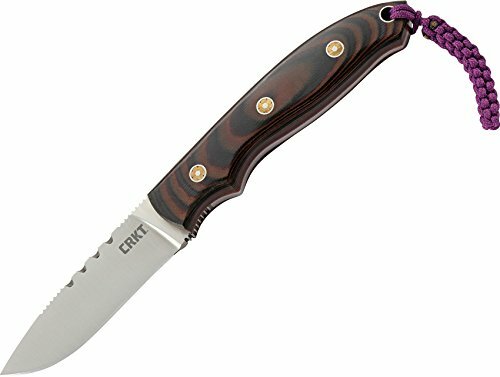 The knife is designed in England and made from Japanese D2 Tool Steel. The steel is vacuum hardened to 58-60HRC - you can chop, hack, and hunt anything without damaging the cutting edge. A perfect knife for any outdoor activity. 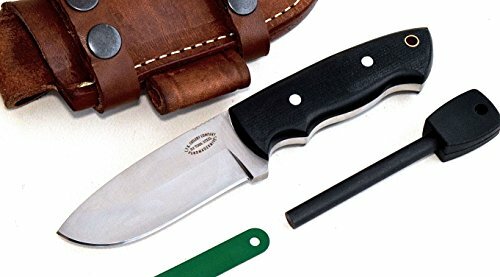 The knife comes with a custom fit high-quality buffalo leather belt sheath, free high-quality fire starter, and a the knife has a lifetime replacement guarantee. This skinning knife works great for any task. 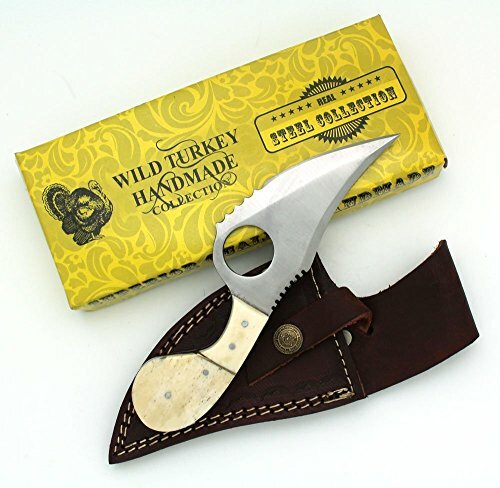 It features a sharp and durable 4" stainless steel blade. The blade is full tang, running smoothly into the 3" decorative handle. The handle itself is made of actual bone with brass trim and rivets and offers an excellent grip. Coming in at 9 oz, this knife is easy to carry around and won't weigh you down. Comes with a custom made hand tooled leather sheath for easy portability. 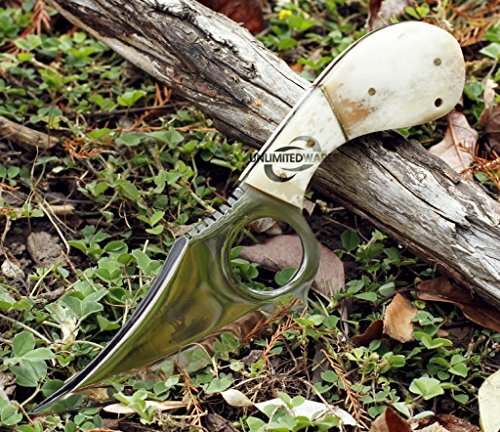 This knife is made with genuine American sheep horn scales and looks awesome! 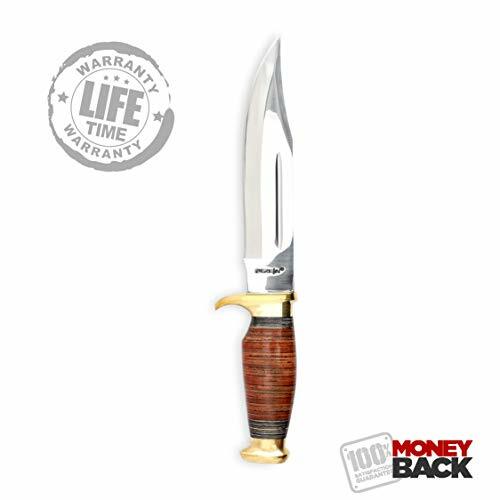 It was designed as a large curved-tanto for hunting, processing game, or tactical uses. The handles are thick and feel great in the hand. The blade is 3/16" thick. The D2 is tempered to 59HRC and is tough, sharp, and balanced. 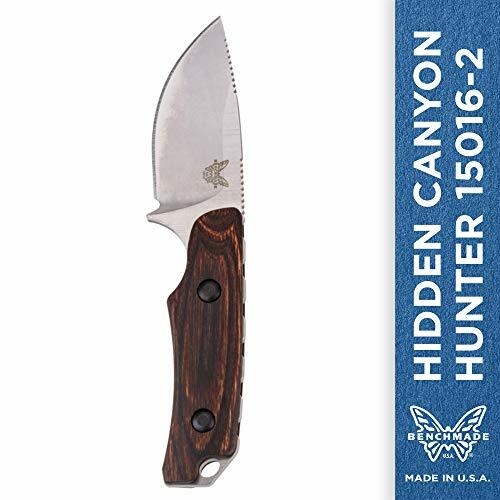 A fantastic knife for hunting, skinning, camping, and game processing. 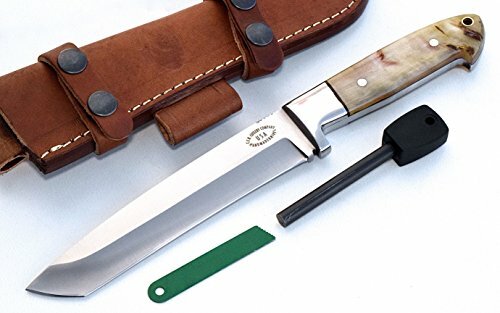 You can also bushcraft with this knife. The knife has a lifetime replacement guarantee. 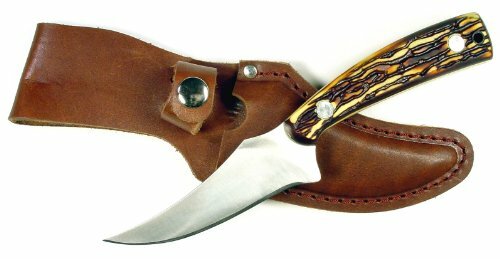 The knife comes with a handcrafted high-quality buffalo leather belt sheath. Heavy Duty Skinning Knife - Hand Made. 7" Overall Length - Very Sharp. 4.5" Stainless Steel Blade - Sawteeth. 4.5" Stainless Steel Blade - Sawteeth. Comfortable 3" Handle made of natural materials. Custom Made Hand Tooled Leather Sheath. 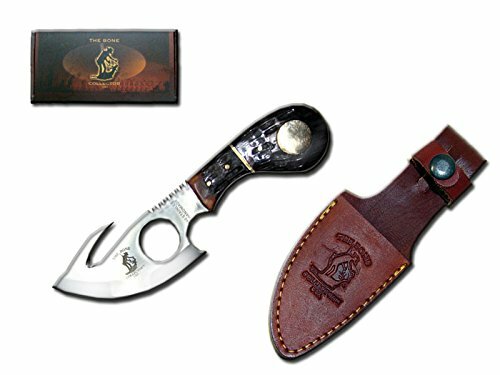 Shopping Results for "Skinning Knife Leather Sheath"